This good quality antique writing table is made from well figured timbers and stamp marked for the London firm of *W. Priest. 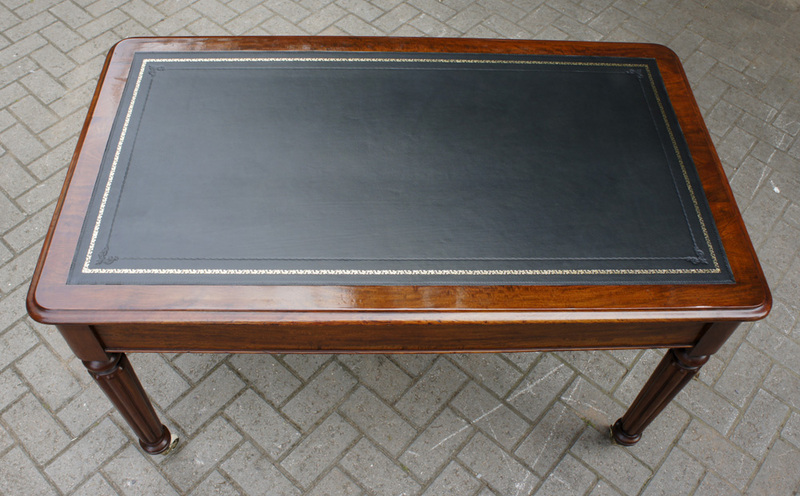 It has has recently benefitted from professional restoration and fitted with ​a replacement black hide writing surface with gilt and blind tooling. The leather is surrounded by an attractive mahogany border with a 'thumb' moulded edge and rounded corners. 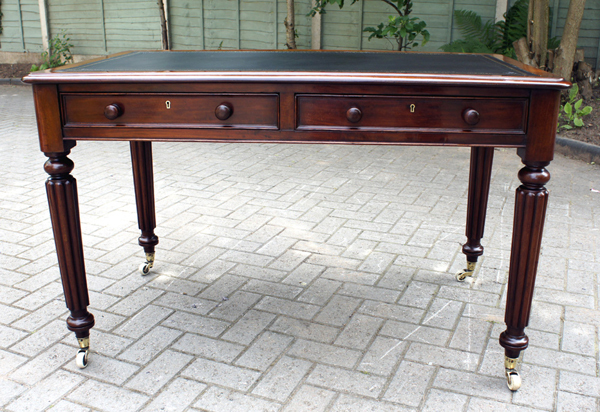 The frieze is with fitted with two mahogany lined drawers with hand cut dovetail joints and brass locks. 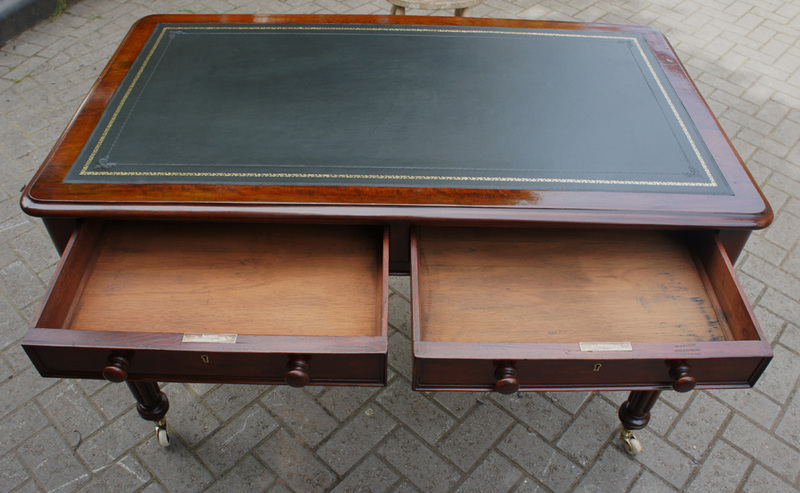 a replacement black hide writing surface with gilt and blind tooling. The leather is surrounded by an attractive mahogany border with a 'thumb' moulded edge and rounded corners. 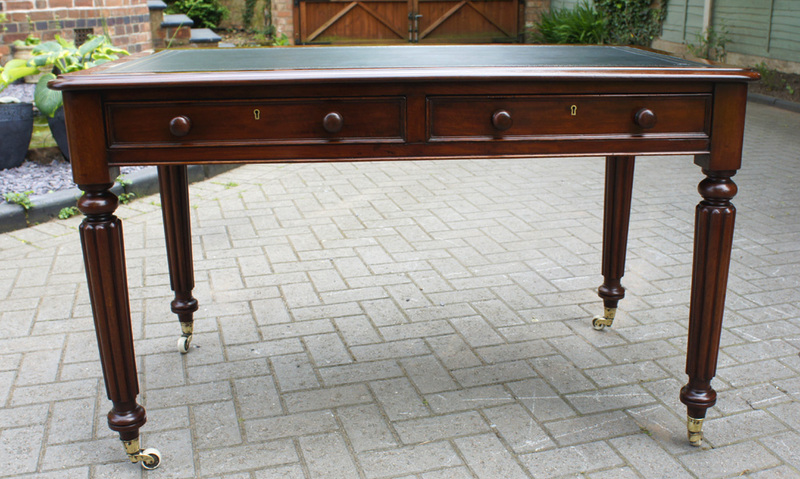 The frieze is with fitted with two mahogany lined drawers with hand cut dovetail joints and brass locks. The drawer fronts are finished with 'ogee mouldings' to the edges and turned wooden knobs. One drawer has the stamp of W. Priest 1 & 2 Tudor Street, Black friars. 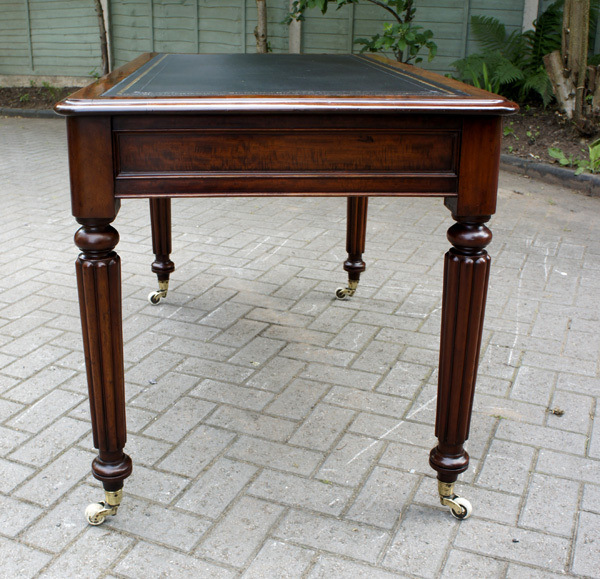 The table stands on four well turned and reeded legs terminating in the original brass and white ceramic castors. it has been cleaned and french polished and would be a lovely addition to any room. * W. Priest had a furniture warehouse in Blackfriars London during the 19th century.